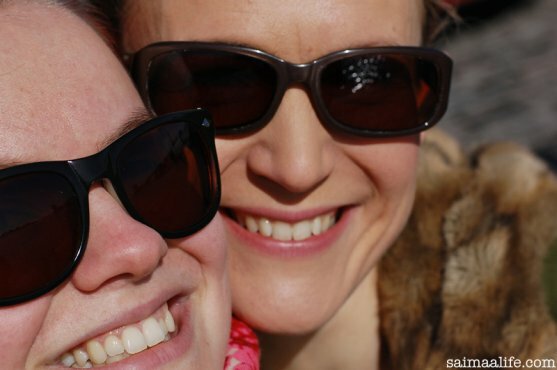 I browsed through the photos that my sister and me took after my Helsinki trip. I noticed that the photos taken in Helsinki city center worked also as a small guide book to the city. The photos gave me an idea to write a kind of a post I don’t normally write. At the same time I decided to tell you something about my blog that I haven´t told you before. So here we go…Welcome to Helsinki city center with me! For many Helsinki Cathedral (Unioninkatu 29) is the symbol of Helsinki. Also to me. All the places in this post are less than 5 minutes walk from this Cathedral. 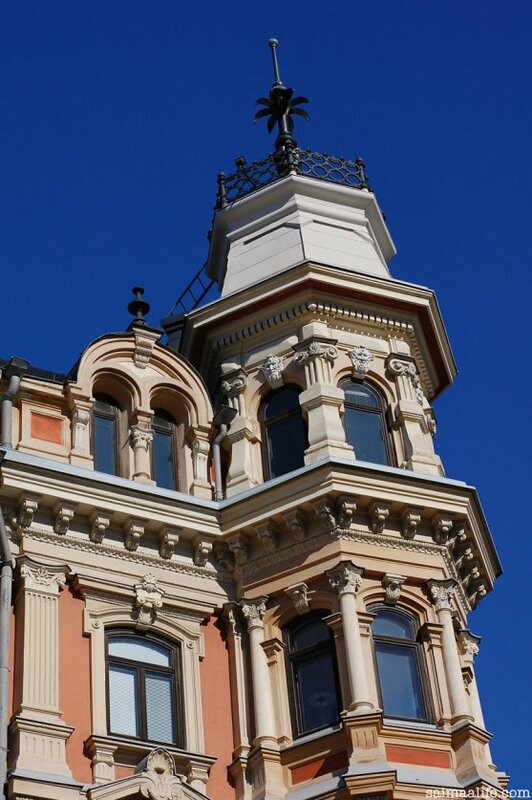 Just a block away from the Cathedral is Helsinki Tourist Information (Pohjoisesplanadi 9). If you need brochures or advices on your Helsinki visit, go there! A wish of a foreign tourist? Before having children I worked in the tourism industry. 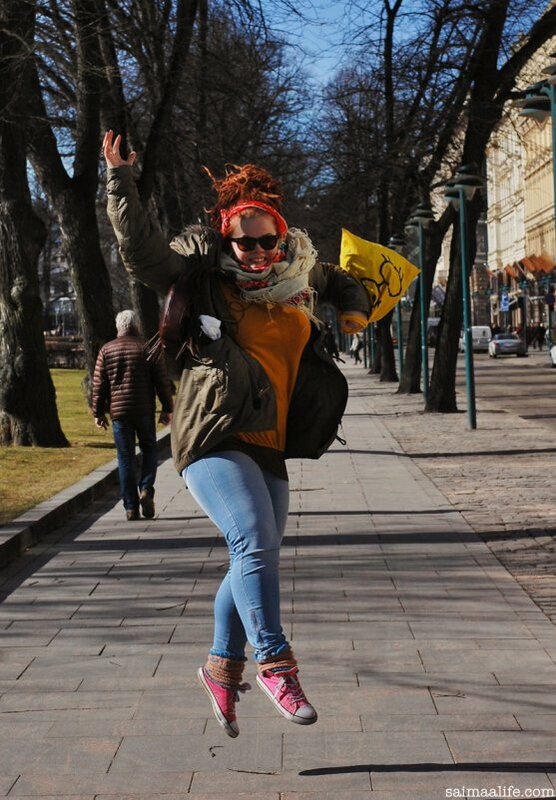 Many times foreign tourists said that they´d like to see what an ordinary Finnish life is like. A will to respond to that wish was one of the reasons why I started photographing my ordinary everyday life in Finland on my blog. After some time I started to doubt my decision. I thought am I just making fool of myself by presenting my everyday life and my very simple sources of wellbeing in my blog. Fazer´s chocolate. That´s Finnish! 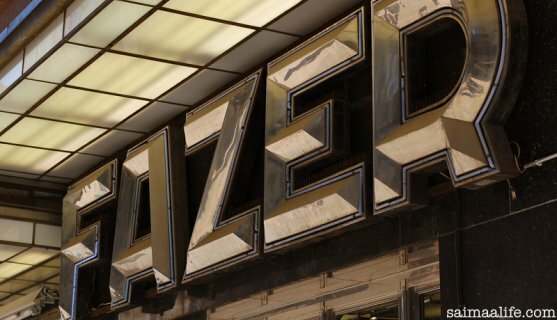 Fazer opened its first Cafè in Helsinki 1891. 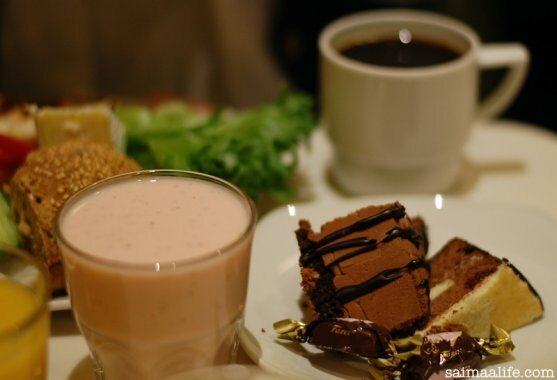 The Café and its chocolate store is still there in Kluuvikatu 3. On our Helsinki day me and my sister ate the most sweetest breakfast at the Fazer Cafè! A little bit later came another from Kenya. Then a third one. I think it was from Germany. And then came the fourth. 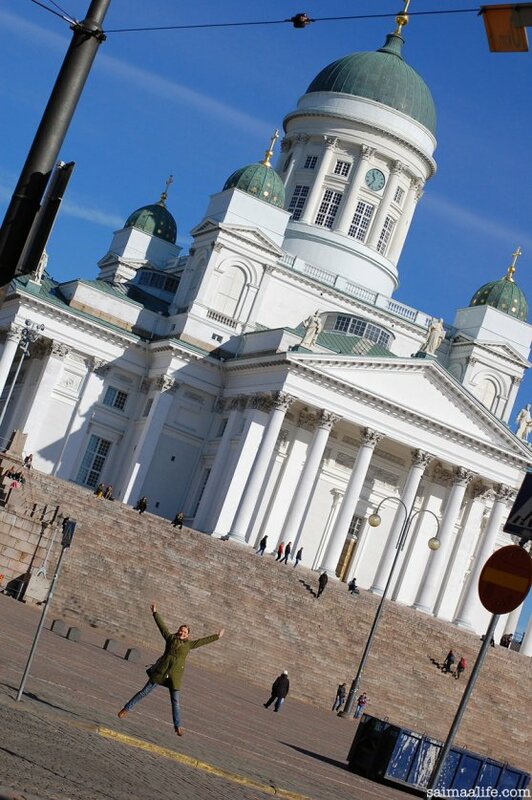 I´ve lived one year in Helsinki. As a country girl I noticed Helsinki to be a bit too big for me. However, I enjoy so much walking on its streets and feeling the atmosphere when I`m visiting there approximitely twice a year. 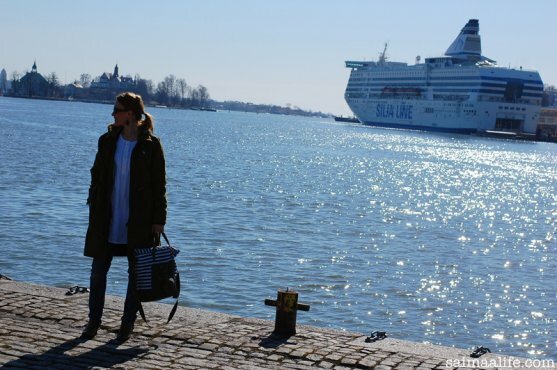 Every time I visit Helsinki I want to see the sea! Market square (Eteläsatama) is good place for that. That´s also the place to see international cruise ships. Those emails meant a lot to me. They made me to realize that maybe my photos aren´t that silly after all. I realized that there really are people out there who find my photos about my ordinary life in Finland interesting and beautiful! Some even so attractive that they had started to consider visiting my home country and experience the beauty of its lakes and forests on the spot. Market square is worth to visit for many reasons. There you can buy fresh Finnish berries and vegetables and all kinds of other goodies. I recommend you to taste some of these delicious Finnish forest flavors! Next to market square lies beautiful Uspenski Orthodox Cathedral. And next to that President´s palace (not in the photo). Natural wellbeing has been my blog´s main theme from the beginning on and will be also in the future. It´s the wellbeing model that I´m developing. A model that is inspired by my home region and home country, lake nature of Saimaa and Finnish way of life. A model for feeling well in natural and simple way, both physically and mentally. Things like, sauna, rye bread, blueberries, lake fishing. All of those are examples of Finnish wellbeing and also big part of Saimaalife.com. 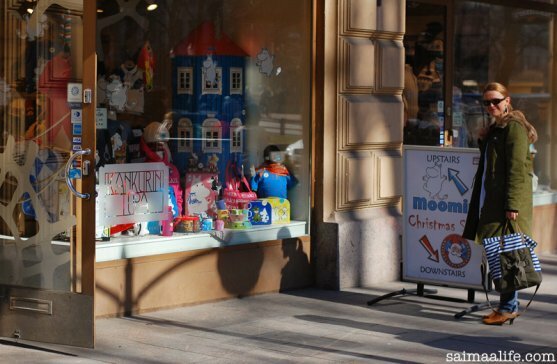 Moomins and Santa Claus are one of the most famous Finnish things abroad. If you want to buy some Moomin or Santa Claus souvenirs, Kankurin Tupa in Pohjoisesplanadi 35 is one place to do that. Finnish design is world famous. Like many Finns also I love Iittala. One of their main stores is located in Pohjoisesplanadi 25. 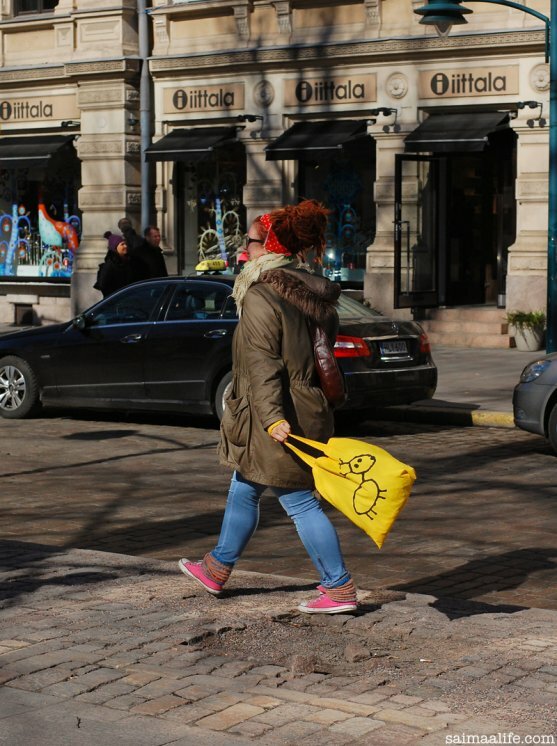 From the same street you´ll also find Marimekko store. 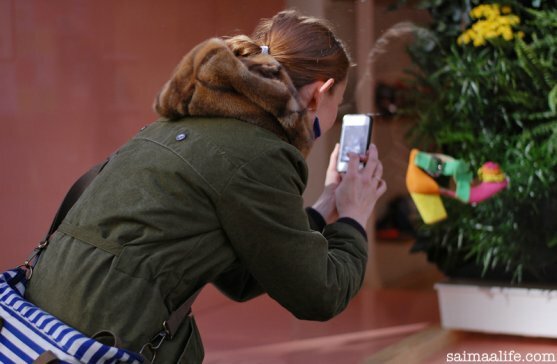 Window shopping (and taking an Instagram photo) at Minna Parikka shop (Aleksanterinkatu 36). She’s a famous Finnish shoe designer. 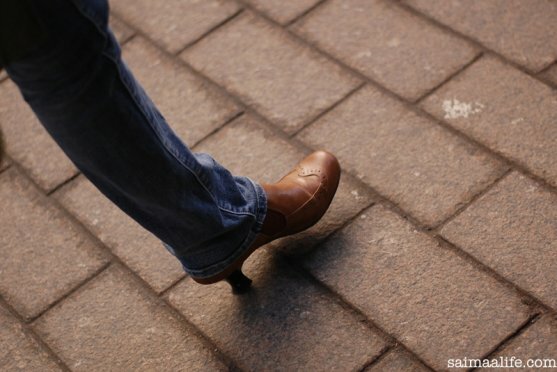 The one whose colorful high heels I love a lot! 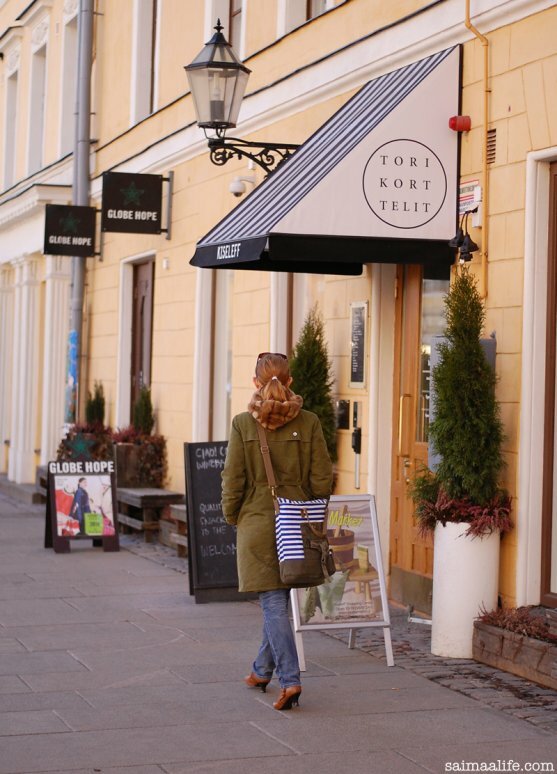 Kiseleff Tori quarter next to Helsinki catedhral is great place to find handmade products and Finnish brands, like Globe Hope. Couple of weeks ago I had a meeting in Helsinki with the Finnish Tourist Board. They host the Official Travel Site of Finland. As the result of our meeting I´m honoured to announce that Saimaalife.com starts co-operation with VisitFinland.com. I´m so excited about that! What does our co-operation mean then? Fun things! More things about Finnish natural wellbeing in my blog. Especially things that are closely related to one of the main themes of Visit Finland – “Silence, please”. 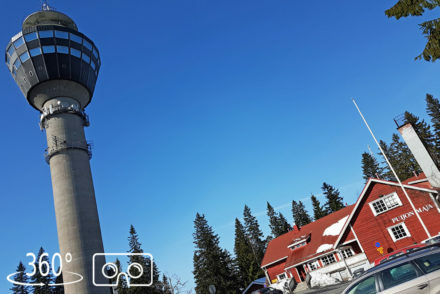 That was taken from Visit Finland´s “Silence, please” site. With my SaimaaLife blog I want to promote that theme on my behalf. So that more people could get inspired of Finnish wellbeing. And more people would come to experience the relaxing silence of Finnish nature. Old architecture fascinates me. Around the Helsinki Cathedral you´ll find lots of it. Esplanade Park is situated at the heart of Helsinki. Go and a have seat on the park bench. Relax and feel the beat of Helsinki city center. One thing is for sure. I will continue photographing my ordinary everyday life in Finland to my blog. And write about wellbeing that is inspired by the lake nature of Saimaa. If you want to follow my Finnish life, like our family´s boat life and follow our mushroom and berry picking trips in forests and fishing trips on lake, feel free to become my blog reader! Order my blog feed to your email. Or order Saimaalife.com blog feed to your RSS reader. You’ll find some extra photos and links to my posts from my FACEBOOK pages. If you prefer twitter become my follower on TWITTER. In INSTAGRAM I´ll share even more photos about my life in Finland. Enjoying Cafè Latte is one of the things that I must do every time I visit Helsinki. If you want to have something sweet with it, try Finnish cinnamon roll (korvapuusti). 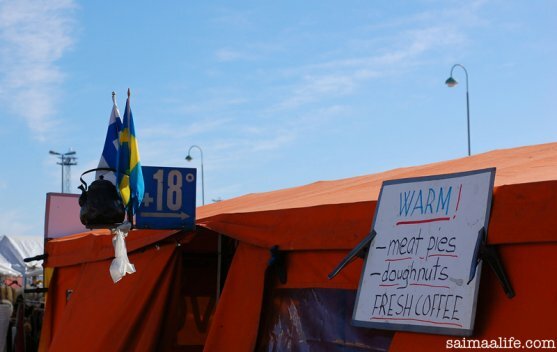 Or if you prefer salty, go ahead and taste Finnish Karelian pies (karjalanpiirakka). 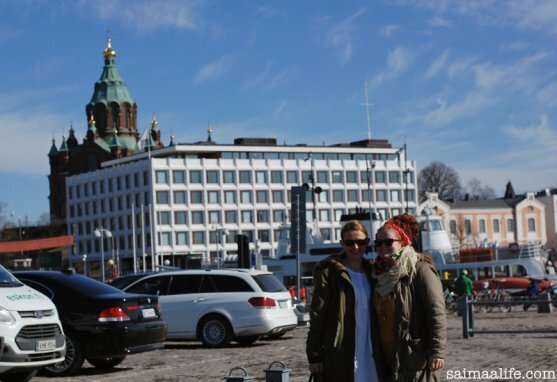 A relaxed city day in Helsinki full of Finnish specialities – That´s what I had with my sister. 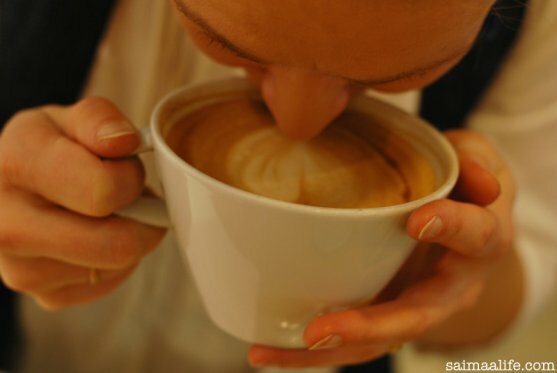 And that´s what I recommend you to have too! If you want to discover more about Finland, its regions and four seasons, follow VisitFinland! Follow Visit Finland on Pinterest. SaimaaLife and VisitFinland warmly invite you to be well in Finland – The land, where the lakes are many and the people are few.